Hephis focus on producting unique keychain, more special, more practical. Combining common culture and practical design to create a special feeling for you, to meet your personalized requirements and provide you more freedom of choice. With more features, to make your life much more convenient. To make special things more practical, practical things more convenient, that is what we are pursuing. Eco-friendly zinc alloy¬durable and never rust.Black matte anti-fingerprint coating. Unique multi-purpose tool,you can open a express box or a beer bottle easily. 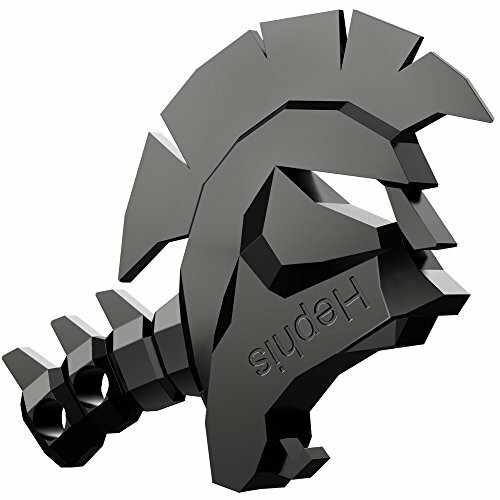 Stylish skull design, Interesting Spartan sculpt make your keychain more distinctive.Excellent gift idea. LIFETIME WARRANTY.Professional-quality,made by Hephis.Feel free to contact Seller directly if ever needed. If you have any questions about this product by Hephis, contact us by completing and submitting the form below. If you are looking for a specif part number, please include it with your message.